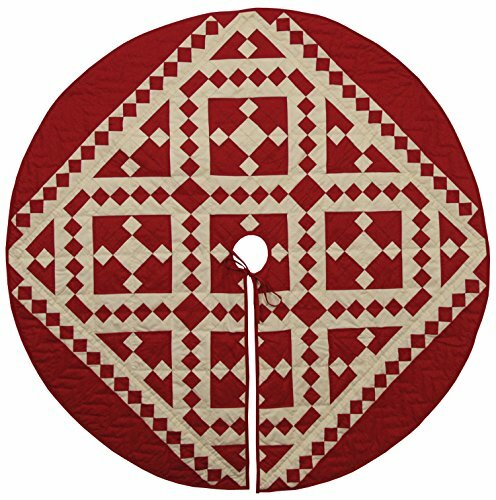 Our 48" Round Christmas Tree Skirts are 100% cotton and hand-quilted to skirt 4 Feet to 6 Feet high Christmas trees. Made of Patchwork Cranberry Red and Off-White Calico cotton fabric, creating a Diamond and Squares. Made of Patchwork Cranberry Red and Off-White Calico cotton fabric, creating a Diamond and Squares.